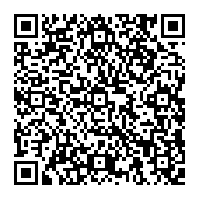 We have created this website as a focal point for our fund-raising endeavours for our wee boy - Logan. Late in 2008 we were heartbroken to be told that Logan was suffering from Duchenne Muscular Dystrophy (DMD). DMD is a genetic progressive muscle wasting disease almost exclusively affecting young boys. Children begin to see their muscles waste away and families struggle to cope with the diagnosis and day to day management of this condition. Young men die early in late teens or are left wheelchair bound and unable to move unaided by the time they reach their early teens.Presently there is no cure for DMD however things are changing. New genetic research is underway in the UK to find ways of replacing or fixing the faulty dystrophin gene making, for the first time, the dream of a treatment for DMD a realistic possibility BUT unfortunately progress is hampered by lack of funding available (caused partly by public unawareness of the disease) to take this research forward to a body-wide treatment for young people with this devastating disease. Action Duchenne is a company and charity that was set up in the UK by parents, family members & supporters of young people with DMD who demanded that a cure or viable long-term treatment is found. The charity seeks to promote new research and clinical trials and also maintains the DMD registry a UK national register of people with DMD which is used to match trials with people). We are actively supporting Action Duchenne by other fundraising endeavours in our local community (and through friends fundraising in other places) and raising their profile so that Action Duchenne or the Eileen McCallum Trust is elected by friends for future fundraising endeavours (see DMD page for more information). 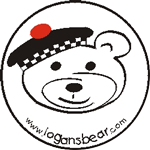 However, we are seeking the help from the highland dancing community to raise funds for Logan. There are a great many costs that are associated with the care and well-being of boys with this condition and it is to cover these costs that we are fundraising. Some costs include specialised equipment, adaptations to our house and car. Although grants are available for some of these items, it can be a postcode lottery and some equipment have lengthy waiting times on the NHS. Speaking to other parents of children with DMD, fundraising unfortunately seems to be a requirement. We can not sit back and wait for things to happen - we have decided to take action now. This is a heart breaking time for us and we hope that you can assist in whatever way you can to help us make Logan's life a good one.